As seen in our special section of Elle Decor. 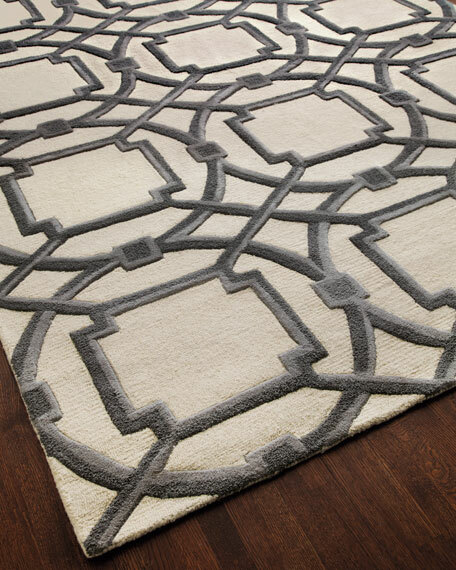 Sharp lines and flowing curves keep the eye moving across this distinctive rug. Hand tufted and hand dyed.